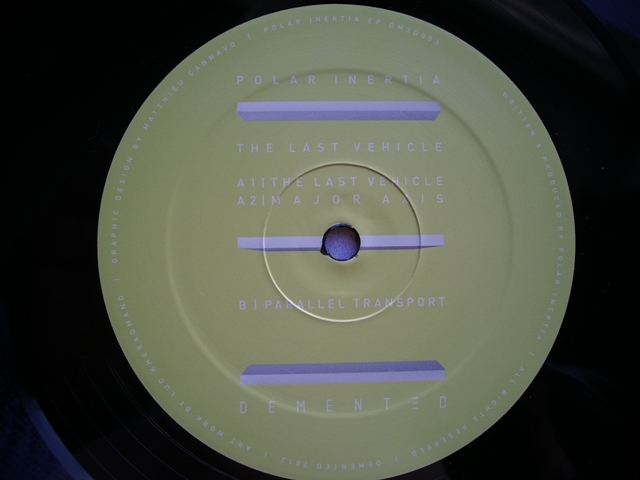 After introductory narrative recalling a 1985 neurology conference in Chicago, mysterious Polar Inertia drops two long and thundering techno journeys on the French label Dement3d. “Major Axis” is an ode to machines, paced by monumental bass and rusty engine noises for brain-drilling shamanism. Emerging from the haze at a mountain pass, “Parallel Transport” continues the mind trip when hauling corrosive cargo. Stretching the definition of droning techno to a new level, Polar Inertia provides two mean cuts for big rooms.